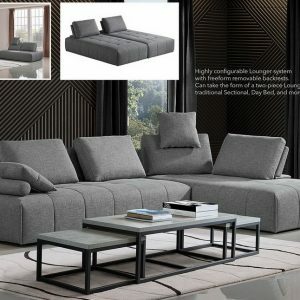 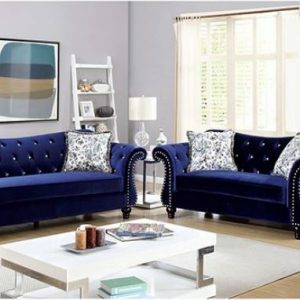 This sofa set is an inspiring combination of contemporary aesthetics and traditional designs. 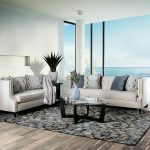 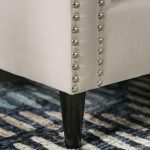 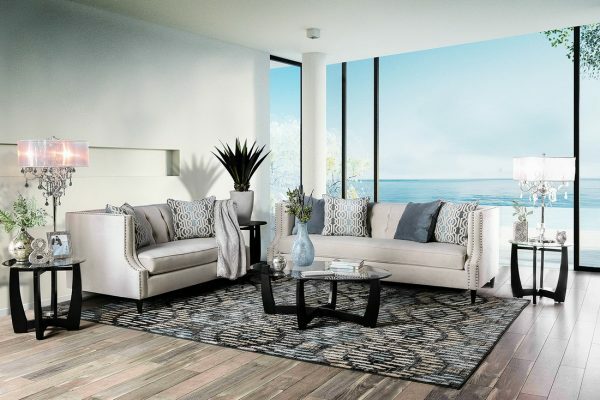 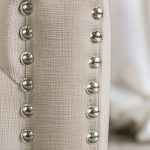 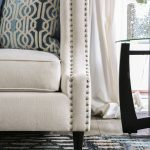 The beige upholstering lends to a more modern feeling sofa but elements like a nailhead trim, and button tufted padding allow this collection to fill the role of a sophisticated center piece. 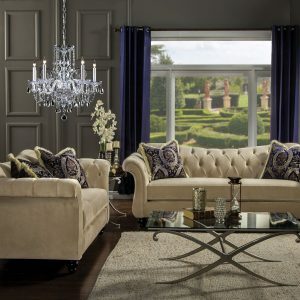 This collection is the embodiment of versatility and sophistication.